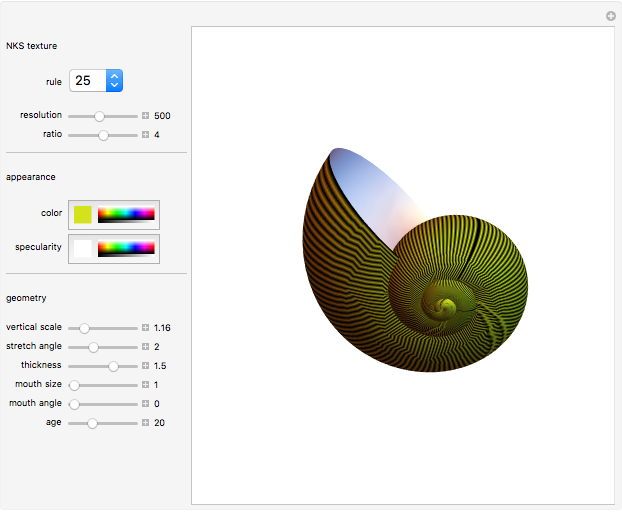 This Demonstration is inspired by Stephen Wolfram's work on shell models and cellular automata. 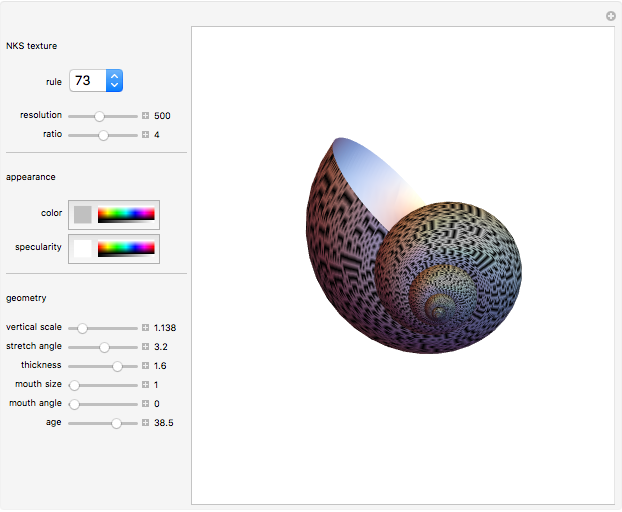 You can select a rule and shell geometry from A New Kind of Science (NKS)  , or you can vary the parameters and color to create a new kind of shell. S. Wolfram, A New Kind of Science, Champaign, IL: Wolfram Media, Inc., 2002. Frederick Wu "Shell Shapes Based on Cellular Automata"